Clara Elizabeth Shearin, age 91, of Fairview Township, passed away on October 19, 2018. Born in Swift Creek, North Carolina on June 7, 1927, she was a daughter of the late Babe and Beulah (Whitfield) Carter. Clara dearly loved her children and grandchildren. She always did her best to show her love and support for her family and friends. Through life's challenges, she always had faith in her Lord, and always strived to be the best she could be. She is survived by 3 sons, Wali Qasim of Erie, PA, Kevin Shearin of Montclair, NJ, and Adbul Muhammed of Roselle, NJ; 1 brother, William Carter of Reading, PA; 1 sister, Pauline Battle of Nashville, NC; 3 grandchildren; 1 great granddaughter; and several nieces and nephews. 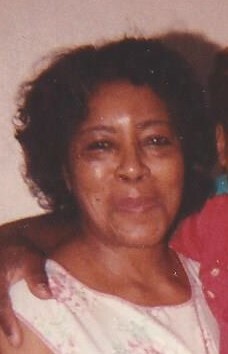 In addition to her parents, she was preceded in death by 1 daughter, Sylvia Shearin; 3 brothers, Albert Carter, Rudolph Carter, and George Carter; and 3 sisters, Larjetta Carter, Annetta Bynum, and Sally Hillard. Family and friends are invited to attend a Memorial Service for Clara on Saturday, October 27, 2018, at 11:00 AM at Askins Cremation Funeral Services, 8354 Wattsburg Road, Erie, PA 16509.